Mass-market electric cars seemed exotic when they began appearing at dealerships just a few years ago. Now it’s normal to see electric vehicles (EV) charging stations at highway rest stops and charging cords snaking from your neighbors’ garage. So is it time to buy an electric car? Here are a few things to consider. Like conventional and hybrid vehicles, EVs have their positives and negatives. The federal tax credit: The government’s still offering a hefty tax incentive to buy a plug-in electric vehicle: up to $7,500, depending on the model. This tax break will likely be phased out in the near future, so buying now can save you a lot. Low maintenance costs: No oil changes, ever. Most electric car owners report being blissfully free from car maintenance chores, other than rotating the tires. Fuel savings: Charging your car is drastically cheaper than paying for gas, even if gas prices are low. Style points: While no one would call the Nissan Leaf the sexiest car on the road, the best electric cars still turn heads. They’re also fun to drive, with smooth acceleration and powerful torque. Good karma: You can feel positive about reducing your reliance on fossil fuel and your carbon emissions. However, experts disagree about whether electric cars are really greener. 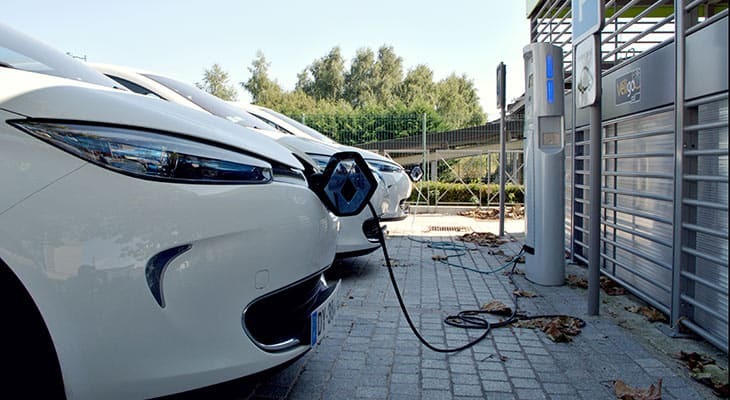 Some scientists say that the environmental cost of manufacturing electric cars, plus the pollution from plants used to generate the electricity that drives them, outweighs the benefits. The sticker price: Despite the federal tax credit, electric cars remain expensive. The cheapest electric car available in the U.S. is the $23,845 Mitsubishi i-MiEV, according to Green Car Reports, followed by the Smart Fortwo Electric Drive, which starts around $25,000. Installing a charging station at your home can cost several hundred dollars. The cost of battery replacement: After several years, you may need to install a new battery, which can cost thousands. Waiting to charge: Fast, commercial-grade EV chargers can deliver a full charge in less than 30 minutes. With regular household current, the process can take much longer. The range: An electric car can only travel so far before needing a charge. Many can travel 75-80 miles; the Tesla Model S can go for 240. Charging stations are becoming easier to find (apps and car navigation systems can show you the closest) but running out of juice remains a concern. Check an EV charging station map, like this one created by PlugShare, to see how many are near your home. Car Insurance: Auto insurance for electric cars is fairly expensive but prices are getting better over time. The Chevrolet Bolt boasts 200 horsepower and 266 lb-ft of torque and a 238-mile driving range on a full battery. Owners of this vehicle say the cabin is spacious and the vehicle is enjoyable to drive and that it felt like a completely normal car. The Bolt EV starts at $36,620. In 2018, the Kia Soul EV received a battery upgrade that boosted its range from 93 miles to 111 miles. Although this is not the best mileage range in the market, you get lots of cargo and passenger space and lots of stylish features. The Kia Soul EV starts at $32,250. Starting at $29,990, the Nissan Leaf has a higher range, new features and stylish general updates. The mileage range at one charge is about 150 miles which puts it in the middle of the pack compared to other EVs and what they offer. Tesla is taking the world by storm and has 3 models that are very popular. The Tesla Model S is an all-electric all-star: a futuristic sports car with seductive speed and power. The Model S P90D hits 60 mph in 2.8 seconds and boasts stunning good looks as well. This fast and stylish EV starts at around $75,000, however — before the $7,500 federal tax credit. The Tesla Model 3 is the most affordable Tesla available starting at $46,000. The Model 3 goes 0 to 60 in 3.3 seconds and has a 310 mileage range making it one of the EVs with the farthest range on one charge. Lastly, the Tesla Model X is the SUV of EVs and starts at $79,500. Learn more about how the Tesla Model X is made, its environmental impact, and how it might be one of the safest cars you can buy. This is by no means a complete list; every year brings new electric car models, as automakers introduce electric versions of cars they already manufacture or revamp the cars already on the market. Happy (gas-free) driving! Not sure that an electric car is for you? Check out your other options for fuel efficient cars.